This is a short post, but one I think may help some small company with entrepreneurial spirit. You find a lot of Lync documents out there, but not a lot of basic background for what you need to start. This article is for people who want to set up Lync and don’t quite have the networking hardware in place. Enter the router on a stick. The problem with Lync is you need at least 4 Static Ip addresses and this can take your whole entire block. Enter the router on the stick. What you need is a Router that can assign a MAC address to a layer three firewall. The layer three firewall, which in turn is plugged into an 802.1Q switch. This is how you begin you network design. Be careful as there are a lot of products out there and it is difficult to get the right features for each device. I would recommend using products with the same brand. 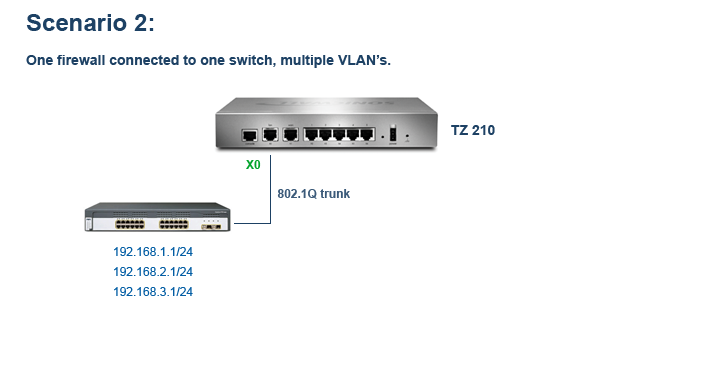 The example I work with is a Zywall usg 50 with a Zywall switch, or Sonicwall TZ firewall with a Dell switch. 2. The switch should have 802.1q ability as well. 4. Use 4 Physical Network adapters. If you have a LOB two on board nics, go buy a 2 NIC network card. 5. Features you are looking for on the firewall include Source Network Address Translation (NAT), Destination NAT, Port address translation (PAT), 1 to 1 NAT, Reverse Proxy and 802.1Q trunking. These features are all commonly available in the “Next Generation Firewall” products. The devices you buy depend on your budget. You can research to find a good match. 6. Examples of the low to high range include Zywall, SonicWall, Juniper, and Palo Alto. Actually the F5 is a great way to go if you are a larger enterprise. this forms the bedoock of your deployment so spend the time researching so you get it right If you set your own Lync environment up, you can still get support for your setup. Call Dell sales and ask for Lync Premeir Parnter support. This is a Microsoft program, administered by Dell. You can purchase a software contract from Dell and a great team will be there to help you if you have problems. Your hardware network cost of investment may be $500~$750 for a small business, but you want to be successful. This is also a great lab setup. See the screen shot below for reference.